Belfast, U.K. – April 19, 2018. CV6 Therapeutics, a drug development company focused on developing novel therapeutics to enhance the effectiveness of current standard of care therapies, announced today the appointment of Chris Riviera to the Board of Directors. “We are pleased to welcome Chris to our Board. 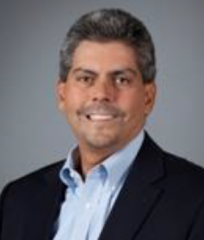 Chris brings extensive experience in the pharmaceutical and biotech sectors that strengthens our team as we push to develop and expand our pipeline of therapeutic assets across multiple major disease areas,” stated Robert Ladner, Ph.D., Chief Executive Officer of CV6 Therapeutics. Chris has over 30 years’ experience in the development and manufacturing of pharmaceutical and medical devices and during his time at the Washington Biotechnology and Biomedical Association he established the commercialization programs of more than 400 emerging biotechnology companies. Chris was the Founder and CEO of Hyperion Therapeutics Inc. which was acquired by Horizon Pharma in 2015. He was the Senior Vice President, Commercial Operations of Tercica Inc. where he was responsible for strategic planning, and at Corixa Inc. he was the Vice President and oversaw the re-launch of BEXXAR. During his time as Senior Vice President at Genzyme Corporation, Chris initiated and built up the US renal division and implemented strategic alliances with key corporate partners.